From left to right: African Crested Porcupine, Indian Crested Porcupine, North American Porcupine, crested porcupine quills. 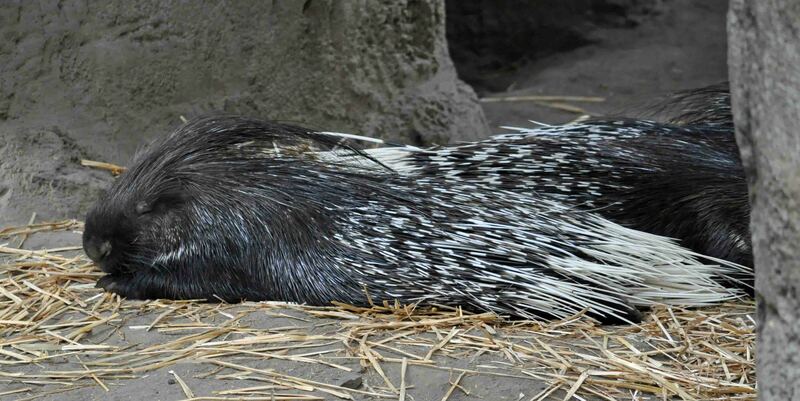 Porcupines in appearance and behavior are interesting animals. Their morphology and behavior, like other members of the Rodentia order of mammals, has allowed them to adapt to a number of different environments around the world. According to Walker’s Mammals of the World (Ronald M. Nowak, 6thedition) there are 3 Genera and 11 different species of porcupines living in Africa, Europe, North America, The East Indies, and South Asia. Most of these have very distinctively shaped quills and/or body size and quite easy to tell apart. 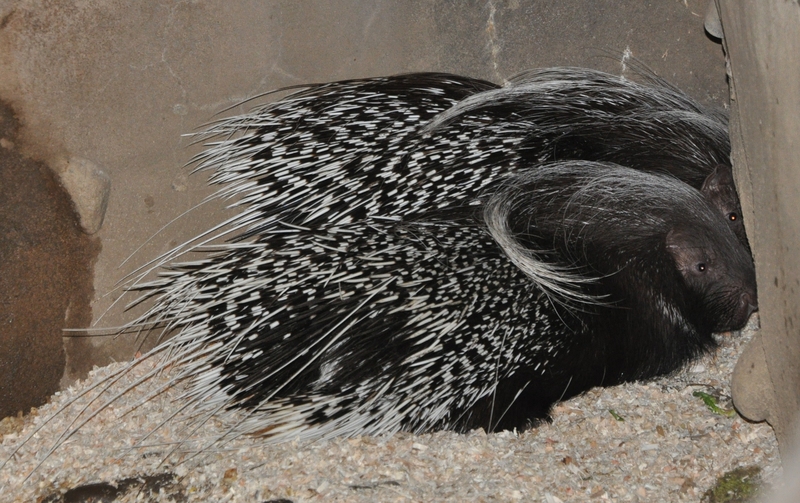 The crested porcupines of Afghanistan are most the likely Indian Crested Porcupine, Hystrix indica, but the African Crested Porcupine, Hystrix cristata, has recently been reported in the United Arab Emirates. If spotted in the UAE it is reasonable to believe they inhabit Saudi Arabia as well. And as with other animals of that continent such as hedge hogs and hyenas it is not out of the question that these African species may have made it into Afghanistan as well. I did not see any crested porcupines in Saudi Arabia but I spotted a number of them plus numerous track and traces in Afghanistan. The ones I saw were much longer than the North American porcupines,Erethizon doastum,and have very different quills. 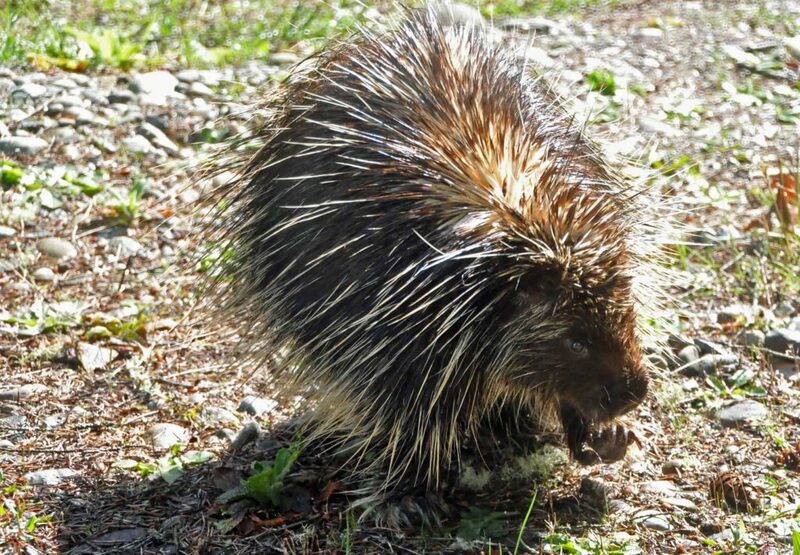 Instead of the needle like, barbed quills of the American porcupines, crested porcupines have sharply pointed, sturdy quills. The longer, thinner quills are found on the back and neck; shorter and stouter ones near the rear. If threatened a crested porcupine will rattle these quills and even back up into whatever is bothering the animal. These quills are sturdy enough to actually stab someone with. Crested porcupines are herbivores but I often found bones outside their burrows. They have probably collected these bones and munched on them for the calcium.